I. Heath, The Representation of Islam in British Museums, Archaeopress, Oxford 2007. The book can be purchased on Archaeopress website. 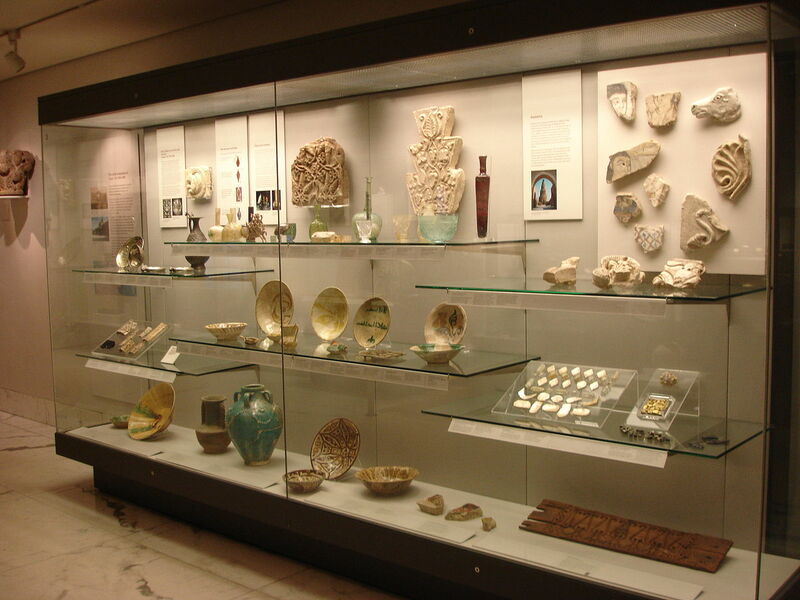 According to the Collins English Dictionary Online, a museum is “a place or building where objects of historical, artistic, or scientific interest are exhibited, preserved, or studied”. This definition is pretty neutral, not considering how a museum is not an impartial setting in which objects are displayed. In fact, as Ian Parker Heath points out in his survey, the museums have a role in “creating and maintaining both cultural identities and their stereotypes” (p. 2). His research wants to understand how British museums represent and display Islam, which values are highlighted, what information is given to the visitors and what is visitors’ perception on the display of Islamic art also according to their social group. The book thus concentrates on various aspects related to the display of Islamic art: aspects such as the fruition of the artefacts and the personal experiences of the visitors are taken into consideration to determine to what extent museums play an active role in social processes and in understanding the diversity. From my point of view, the most interesting aspect of the book is related to the analysis of the displays and how Islamic art is represented. As one may well expect, the concept of modern museum, particularly of a museum that displays Islamic art, is deeply related to the history of private and public collections of “Islamic” artefacts and is influenced by the modality of acquisition: the 19th century collectionism was of course rooted in the taste for the exotic and the Orientalism attitude, and the displays cannot but be affected by this view. Ian Heath underlines how the point of view in which exhibitions and displays are organised in many case is a simple re-proposition of that Orientalistic paradigm: the Islam represented is monolithic, stable in space and time. This is strikingly clear when the author discusses a text panel in the Royal Museum of Scotland (case 9, gallery 2.4) (p. 98): the panel, titled “Overglaze painted wares. Iraq 9th-20th [sic!] centuries” draws a parallel between the work of 9th-century and contemporary Iraqi potters without any further contextualisation. Actually, considering both the arrangements of the artefacts and the descriptions provided of the objects, the author explains that Islam in itself is not explored in the museums considered in the study: what really emerges is an appreciation of the aesthetic that replaces the understanding of Islam. The material is not interpreted and is overtly left to speak for itself: labels gives just essentials information, without contextualising the artefacts, text panels explains only what is necessary. Reading inscriptions is an important part for the study of monuments and objects: inscriptions can help us better understanding the purpose of the artefacts, the context of production and of consumption, giving an insight of the period and place where the object has been made. Yet, inscriptions are not always translated and when they are the translation is partial and unexplained. “There is nothing on the experience of the believer, the history of the religion (e.g. the development and role of sects), or the very different direction by which culture, society and religion came to interrelate with each other when compared to that in the Christian West. It is strange: I have visited many museums displaying Islamic artefacts, and I have never considered the way in which the display could affect the perception of the culture represented, because actually that’s what happens: the display is affected by the choice of the objects to be shown, their juxtaposition with other artefacts and the explanations given. These are but three of the variables that need to be considered when understanding the narrative a museum offers on a subject. So far I have not paid too much attention on the matter. 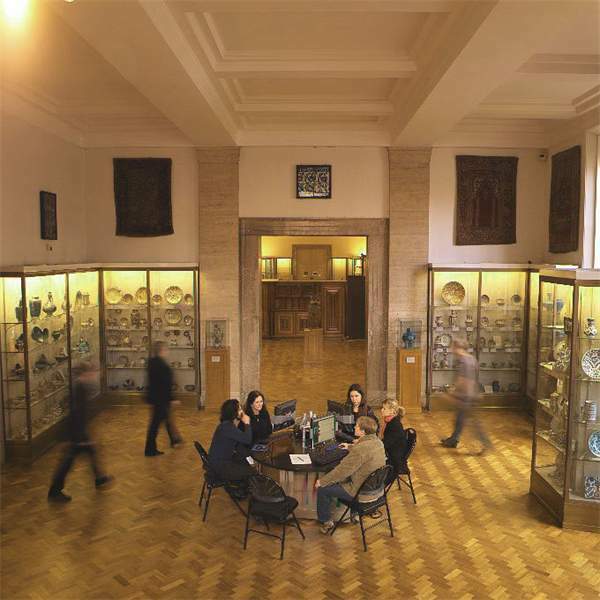 Just few days ago I visited The Fitzwilliam Museum, and in particular gallery 33 “Arts of the Near East”. When there I actually focused my attention on the artefacts that I wanted to see: a mosque lamp from Mamluk Egypt, an octagonal bowl from Iran, and a Ghaznavid silver dihram. I must admit I didn’t pay too much attention to the fruition problems that could face someone with scarce or no knowledge of the history of art of the Near East. But now, when writing this post, I start to notice some features similar to those pointed out in Ian Heath’s survey. There is no explanation panel, the great majority of the artefacts displayed are ceramics and they are divided into areas and Iranian and Turkish artefacts are the majority. The labels provide little information of the context and I think that only for the mosque lamp a translation of the inscription was provided. In a corner I saw a booklet, presumably with detailed information on the gallery and the artefacts, but as I didn’t need it I didn’t read it. I wonder how many people use the booklet, and, more importantly, if it actually was the only copy available: what if someone needs it but someone else is already reading it? Ian Heath’s survey on the representation of Islamic art in British museums is not a summer reading and neither it is a book that you read for your personal amusement. It is a book that someone concerned with the study of Islamic artefacts should take into consideration and read carefully: it helped me noticing things that I wasn’t used to notice. I visit Islamic art museums knowing how to contextualise an object, my education helps me overcoming information shortage and looking critically to artefacts. But what is the idea people with little or no knowledge gather from this exhibitions? They can tell you that “Islamic art” is “beautiful” and “refined”, but they do not get any deep understanding on the history and development of Islam and the cultures involved. I love going to museums, actually because I love to learn new things, without becoming an expert, but it’s a wonderful feeling, when leaving a museum, to say “Well, today I’ve learnt that…”. In the case of the displays taken into consideration in the survey it’s hard to tell what people can really understand or learn about Islam. Maybe the problem is Islam itself: Islam is “religion”, but it is also “state”. It was adopted by different cultures and Islamic culture as developed in Spain cannot but differ from the one developed in India. Sunnism and Shi’ism are different both on an abstract and on a practical point of view. Maybe expecting that a single gallery in a museum can describe such a variegated reality is too much: we cannot pretend that Islamic art museums are enjoyable at the same level by experts and laymen. Just from the start, when reading the book, I wondered: “And what about museums of Islamic art designed and conceived inside the ‘Islamic world’?”. 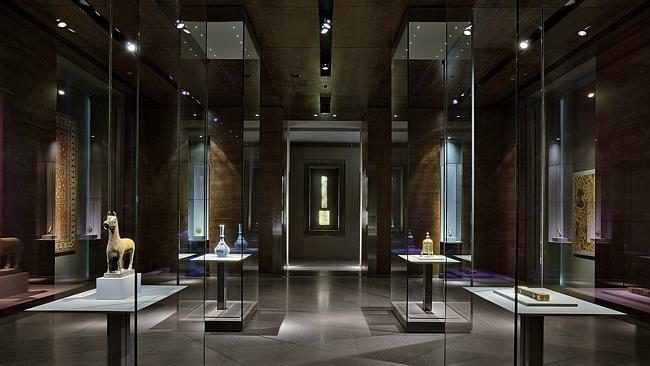 I was thinking about MIA, in Doha, and the newly opened Aga Khan Museum in Toronto. The latter is interesting as it is strictly connected with the Ismaili Center, and it has been built in Canada. I asked Ian Heath what was his idea, and he answered that he presumes the situation is actually the same, after all they were designed inside the same conceptual framework of the other museums displaying Islamic artefacts. Actually, I must admit I have the same expectation. I’ve never been there so far, but I am curious to get some more information on them. Maybe I will discover something has changed, and people can start appreciating Islamic art not only on an aesthetic viewpoint.